With only a few weeks left for Halloween, you need to be ready not only for your costume but also for the parties you will be throwing. Halloween parties remain to be very popular among kids and adults alike. Throwing an unforgettable Halloween party for your guests is not too hard, but you need to come up with fresh ideas every year to keep them entertained and maintain your stature as the best Halloween party host. Tricks and tips on how to throw an exciting Halloween party flood the internet and you can easily get awesome ideas that will make your adult Halloween party even better than the previous years. Here are some of the best tips on throwing a memorable adult Halloween party this year. Candies are the star of Halloween, but they should not be your sole offering to your guests. Prepare some cheese, wine, and Halloween inspired desserts and snacks. Make your appetizers more interesting to look and as delicious. Surprise your guests with a great Halloween feast that is easy to prepare and easy on your pocket. 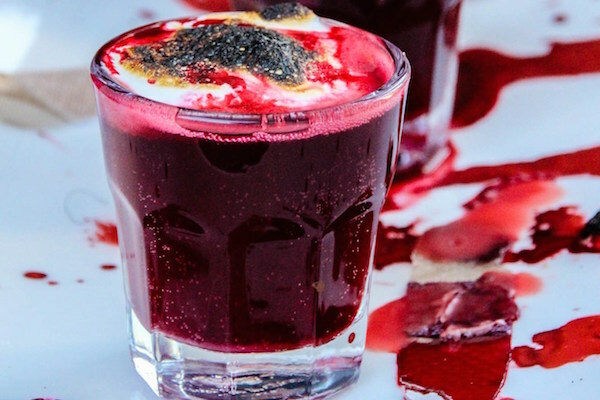 Parties are even enjoyable with a round of good Halloween shots. Your drinks should complement your menu and must be Halloween inspired as well for an added drama. Mix your favorite drinks and spirits and maybe show some bartending prowess. Get creative with how you serve them. You will sure to enjoy these shots with friends and will energize you for a night of great fun. A party is not complete without the right music and a Halloween party with its spooks is not an exception. Conjure up a great music playlist starting from spooky and eerie classical music to start and escalating to party music that will bring down the house. You may look for a Halloween playlist online or you can come up with your own that will fit the tastes of your guests. Take the party to the next level by preparing Halloween party games for your guests. Challenge your creativity by preparing games like Monster Mash, Don’t Say Halloween, Murder Mystery and many others. You will sure to keep your guests entertained and excited for the rest of the night. The idea of taking a mediocre backyard shed and turning it into an artistic oasis or relaxing retreat has become quite popular among DIY enthusiasts all over the world. 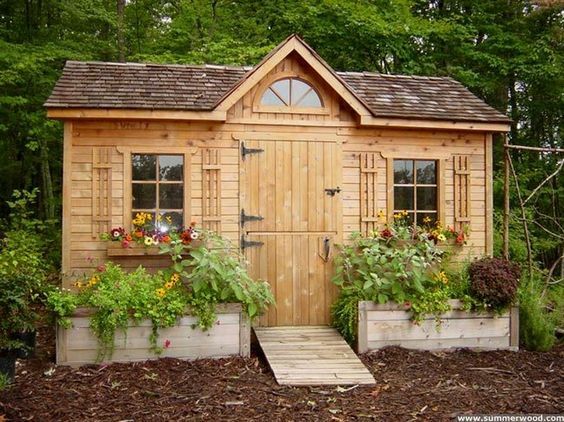 A garden shed is often used for storage and is prone to collection dust, cobwebs, and insects. While a shed can easily turn into an eyesore on one’s property, it certainly doesn’t have to be. This article will provide some tips to transforming your garden shed into an artistic oasis that will be an asset to your property portfolio. If you have a garden shed on your property already, you have already completed half of the project. The hardest part is determining where the shed will be and how you will get it installed or built. If you already have one on your property, you will then need to decide on how you will want to use the space differently. After you have determined if you will use the space as a yoga retreat house, a cozy nook, or a painting studio, you can then begin to plan out what materials you will need and how you want the space to look. The functionality of the space will need to be taken into consideration when planning as you will want the shed to work out well with your vision. It is likely that you will want to use your shed in a way that it has not yet been used. To give the structure more stability and to make it seem like an extension of your home, you will need to put up drywall. This is a project that can be hired out or done by yourself with some help from a handyman. After you have installed drywall, you will also want to add insulation to the space. Adding insulation will help keep cold air out in the winter and keep cold air in during the summer months. If you have insulation, you could consider adding a small heating or air conditioning unit to the space to manage the temperature. If you do not have a garden shed on your property already, you will likely want to prep a place in your yard to have one. The best way to do this is to rent equipment to dig up dirt and create a space to build your shed. Smartcast Equipment is a great place to check out for rental equipment. After you have added drywall, insulation, or built the shed from scratch, you can then prepare to paint the interior and exterior and plan out your decor. Adding a fresh coat of paint inside and outside will spruce up the place a great deal. Add some decor that goes along with the theme of the space. For example, if you have created a yoga retreat, add a yoga mat, meditation cushion, towels, blocks, straps, and other tools that you may need while practicing yoga. As part of the various processes in buildings and constructions, excavation is a very important job. While some excavation jobs can be very easy since it is just small work, some are so large that it requires necessary preparation before excavating. Failure to make the right preparations can lead to various consequences, and these consequences can be very grave in nature. Hence, proper execution of the preparation process must be observed. Before doing any construction work in general and excavation work in particular, various permits must be secured first. The number and nature of these permits may vary according to the place you do the work, but there are some common ones like building permits, clearance from city planning office, and environmental permits. Special permits may be required for areas with historical protection and other special locations. 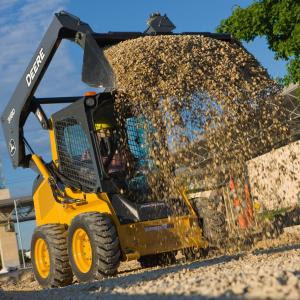 Make sure you have all the necessary equipment and utility needed for your excavation, and if not, you need to arrange how to source them out. For example, you may rent an excavator from Tahoma if you are working in the place or near it. You may also rent other equipment needed, not just big ones. Excavation as a process can come across various things. Make sure that you know and understand what you are digging. You can’t assume that it is all rocks down there or that there will be no water and other elements. Do a site survey first to avoid unnecessary surprise, so you can also bring the necessary equipment you need to get the job done. Workmates like site developers and engineers needed to be coordinated well to make sure that you are doing the job right. The plan must be laid down to every personnel concerned to avoid delays caused by miscommunication. The lack of proper coordination may result in delays in the project completion, wrong deployment of manpower, and even considerable damage to the whole project. Before doing any excavation work, you must create a plan of action on how to deal with solid waste materials that will be quarried from the site. Recycle what can be recycled, while arranging how dirt and mud will be disposed and where. As well, plan for out for plants, grass, and timbers that will be uprooted during the course of the excavation. Lack of proper preparation before an excavation work has led not only to delays of construction work in the past but also to some accidents. Spare yourself from problems by planning out the process from start to end. As well, make sure you are hiring skilled people and using high quality materials and equipment for the job. Warning: This is a very late review post. 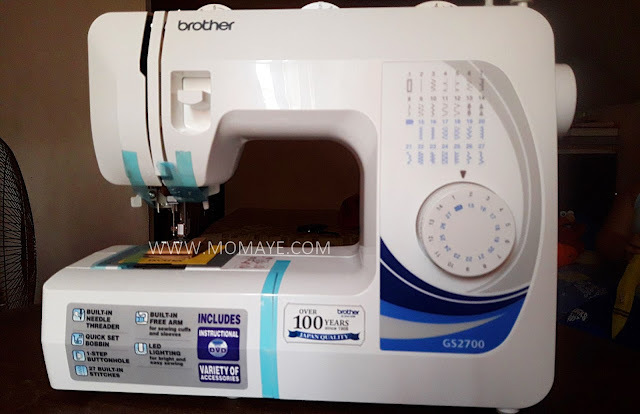 Yes, after almost a year, I finally can share a short review about the Brother Portable Free Arm Sewing Machine (GS2700) that Daddy A bought. 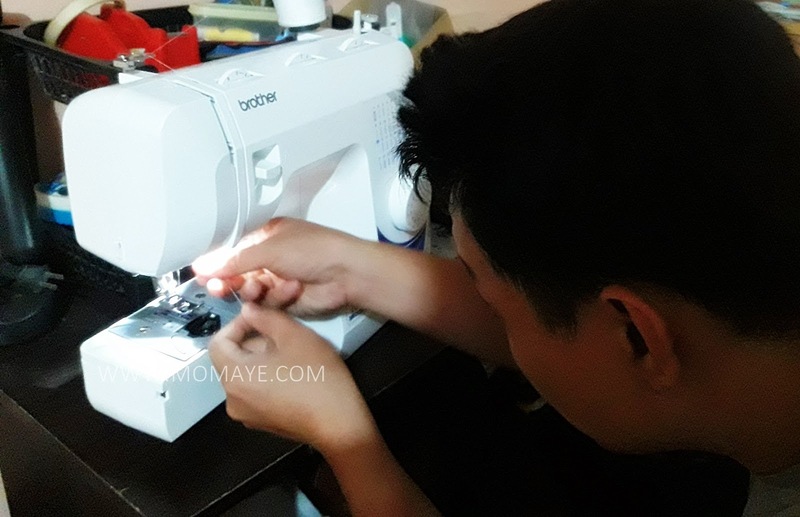 So this is our not so new sewing machine (since last year pa ito nabili, hehe). I wish there's a pink color available but there's none. Anyway, it's sturdy unlike the Easy Stitchmax that we have purchased from SM Department store. It has 27 built-in stitches, quick set bobbin and 1-step buttonhole. Daddy first used it because I am a bit scared to try. Also, I have to admit that he has more sewing knowledge than me. 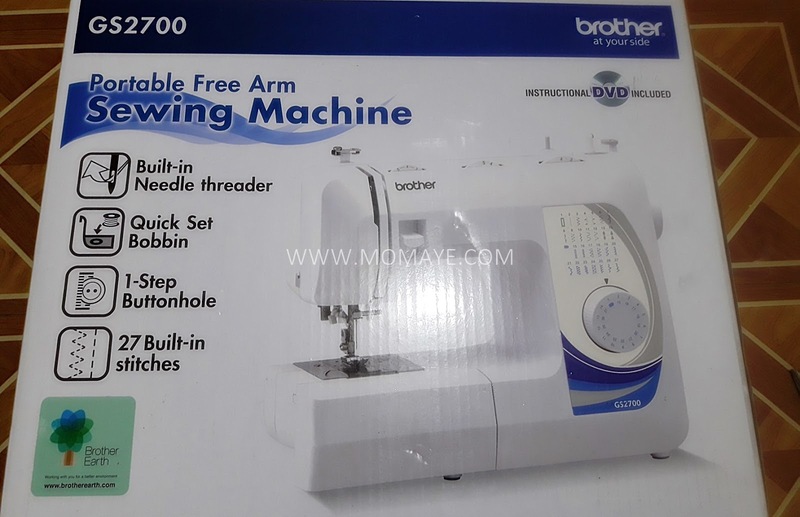 What I like pa is that Brother GS2700 has built-in needle threader so no sweat ang pag-insert ng thread sa needle. Sewing with a Brother free arm portable sewing machine (GS2700) is easy and fast with a sewing speed of 850 spm. Unfortunately, I have no time to explore this nice sewing machine. 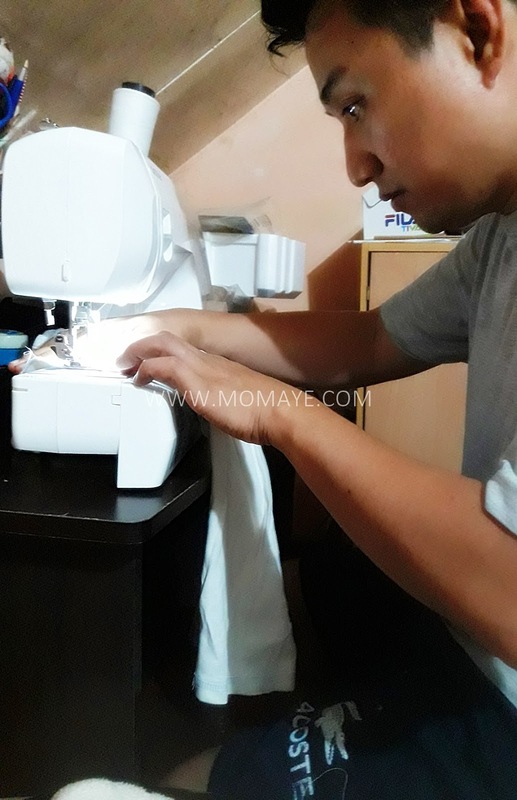 Luckily, Daddy's Lola is with us now and she knows how to sew. Para din hindi sya ma-bore while she's staying with us temporarily. 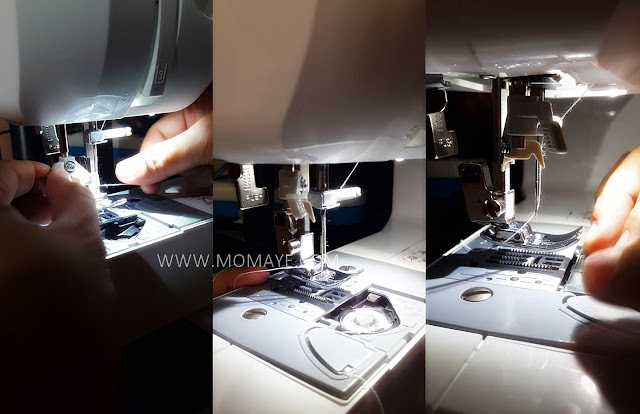 At first, she's hesitant to use it because Brother GS2700 has foot controller and she used to the sewing machine na di-padyak. But Daddy A convinced her and told her this Brother GS2700 is much easier to use. 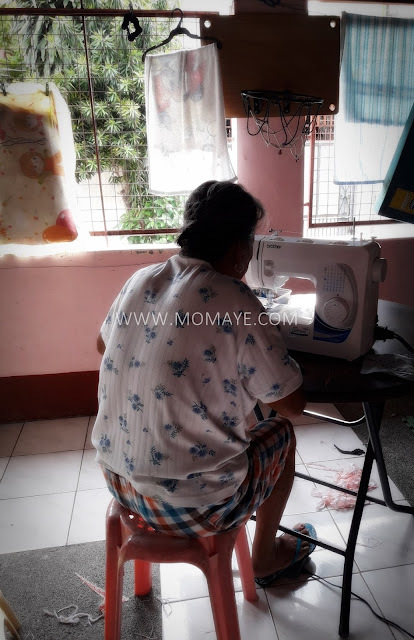 So now, she's sewing bed sheets, pillow cases, shorts and ternos, which my mother-in-law sells naman. Here's a set of fitted bed sheet that she sew for us. This is for Matthew naman. Sewing makes her not feel bore and at the same time she's earning extra money. 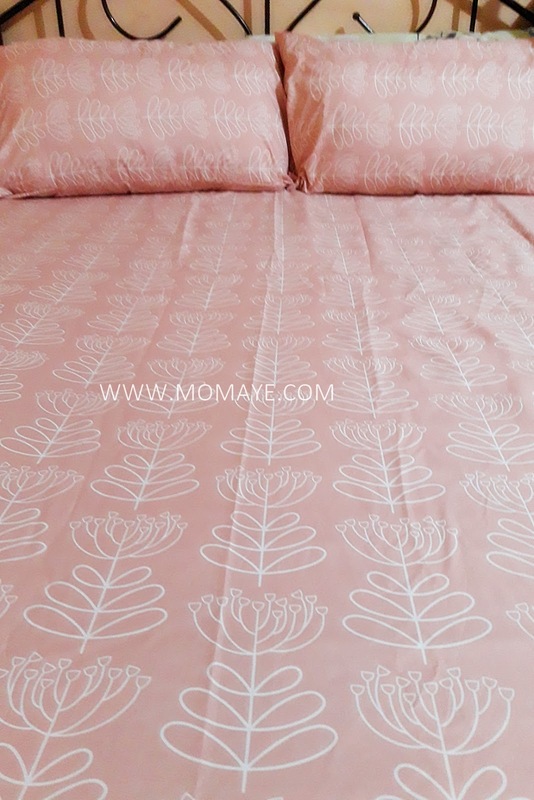 Big saving for us too because we don't need to buy expensive ready-made bed sheet. We only buy cloth for her to sew to perfectly fit our bed. If you will ask me if how our electric bill? It has no difference even if Lola is sewing everyday. So that's my Brother Portable Free Arm Sewing Machine (GS2700) short review. You can also check out some more Brother sewing machines. Don’t you just love the aroma of freshly brewed coffee in the morning? The secret to cafe-worthy coffee is brewing fresh coffee grounds. With the right coffee grinder and a great coffeemaker, a hot cup of good-tasting coffee is just an arm’s length away. Here are a few reasons why you should have your own high-quality coffee grinder at home. Would you choose week old bread oven freshly baked bread? I’m sure you would opt for the fresh one. The same thing goes with all other kinds of food and drinks, including coffee. 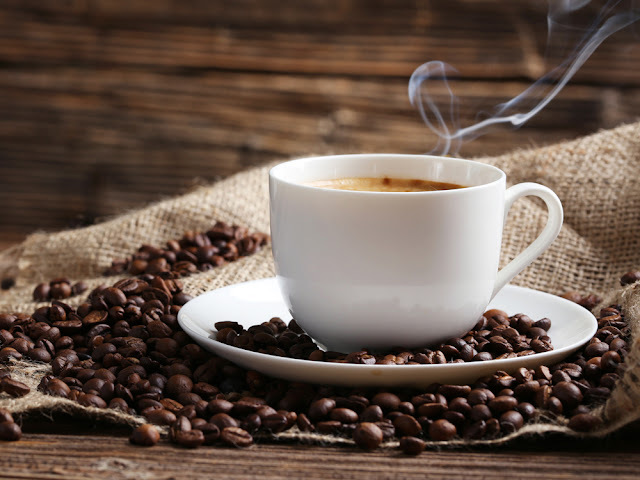 If you want to receive the full benefit of drinking coffee in the morning or any other time of the day, then it is to your best advantage if you have your coffee beans grinded minutes before drinking it. Freshly ground coffee beans make a better tasting coffee than store-bought ones because the flavor from the coffee bean oils are still there when you brew it. Also, the substance in the coffee that perks you up are sensitive and their effectiveness diminishes over time. 2. It ensures consistency of flavor. There is something good about drinking a familiar cup of coffee every single day. A high-quality coffee grinder ensures that your coffee tastes the same all the time. This is due to the fact that high-quality grinders grind coffee beans into equal sizes whether you want it coarse, medium, or fine. This is important because the smaller ones get cooked and dissolved faster than the bigger ones. Over-extracted and under-extracted coffee grounds will also give you a bitter and sour tasting coffee, thus leaving you with a bad experience early in the morning. 3. It saves time and effort. It only takes a couple of minutes to grind your coffee beans. However, if you are using a low-end coffee grinder, you will have to check and re-check whether your coffee grounds are equally sized. A high-quality coffee grinder requires less time and effort because it works faster and more efficiently. Although buying a high-quality coffee grinder can be more expensive than buying low-end ones at first, consider it a good investment in the long run. You don’t have to worry about having it replaced or fixed in the near future – both of which require you to shell out extra cash. The best savings is when you get the most value of your money for a longer period of time. Plus, homemade coffee is way cheaper than buying from coffee shops. Coffee beans may be similar in composition, but not all coffee are created equal. At the end of the day, it all boils down to the taste, effort exerted, and time and money spent. With the help of a high-quality coffee grinder, it is like having your own personal barista at a fraction of the price for a real one. Drinking a warm cup of coffee in the morning after having a good night’s sleep is all you need to keep you up and awake, ready to take on the challenges of the day. In this digital world, almost all people has their social media accounts. Even children and babies do have social media accounts. I did a Facebook account for my son too. But I never encouraged him to use his account, instead I just tagged him whenever we have photos. Filipinos comprise one of the largest digital communities in the world. We thrive on increased connectivity and communication, primarily via social media. It has never been easier to share content online as it is today, from articles from our favorite sites to moments from our everyday lives. With increased sharing, however, comes a bigger target on your back, which cybercriminals will be happy to hit. They are always on the lookout for any bit of personal information that they could abuse. Your identity might get stolen, huge loans might get credited to your name without your knowledge, and your whereabouts can be traced, leaving you vulnerable to all sorts of crimes. 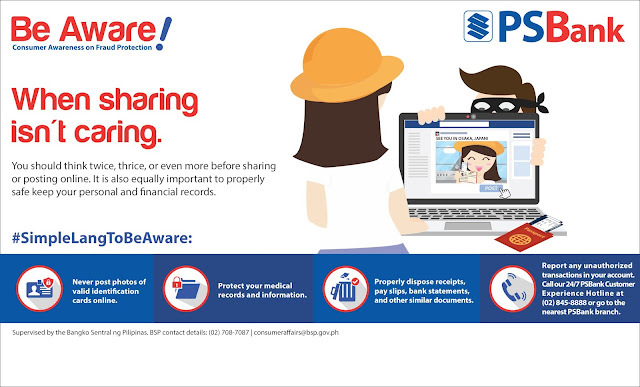 As such, PSBank reminds everyone that it is important to review the information that we share and post online. Moreover, the Bank says that it is also equally crucial to safe keep personal and financial records properly. Never post photos of valid Identification Cards online. Once scammers and cybercriminals get hold of a photo of any of your valid IDs (e.g. PRC, TIN, SSS), they can use your personal information in these IDs to apply for big loans. Keeping photos of your IDs in your phone is also discouraged. Do not fill up your profiles. While it becomes more convenient from your friends and relatives to know your whereabouts if you post your address and contact details, you also leave yourself vulnerable to hackers and criminals. Also avoid posting your complete birthdays, your exhaustive employment history, and your complete family lineage in social media. Refrain from posting all of your travel plans or photos, particularly while you are still in the middle of your trip. Not only do you let potential cybercriminals know your current location, you also indirectly tell them that your home residence is currently unattended and vulnerable. Just share some (not all) of your photos after you have arrived back home. Do not post photos of extravagant or expensive purchases. Yes, buying that dream car or watch may be a fulfilling experience that makes you happy, but don’t get so excited that you act carelessly. Posting indicators of wealth attract scammers and criminals. Protect your medical records and information. Cybercriminals may use your personal medical details to gain benefits for themselves—drug purchases, false insurance claims—and you may end up paying for all of these. Do not post any medical details online, and properly dispose medical records, prescriptions, and other similar documents. Properly dispose receipts, pay slips, bank statements, and other similar documents. Shred or dampen these documents, or do anything that could make the details unreadable. When going out, bring only the necessary cards, IDs, and/or official documents. It is unwise to stuff all your cards in one wallet. Bring only what you need for the day. “We live in an increasingly connected world where information is created and shared at a fast pace,” says PSBank First Vice President for Information Security Dan Jose D. Duplito. “We must be wary of information we carry with us and post online, because even one small personal detail could become the last missing piece that fraudsters need to compromise your identity or online accounts," he added. Do you remember the first time when your baby spat out milk or the moment your baby's umbilical stump fell off? Even though there is not much to be worried of, first-time parents would still most likely get nervous in situations that they haven’t experienced before. Some of them may immediately look up on the internet to know if there is something wrong with their baby, only to find out that other parents reacted worse than they did. Parenting blogs and websites have been very helpful for new moms and dads as they are able to get valuable insights from the experts for free. Reading stories and sharing their experiences with other people can also help hands-on parents relieve stress during their free time. Parenting is definitely very challenging but the memorable experiences and endless joy that you get more than pays off for the work and effort that you have put in. 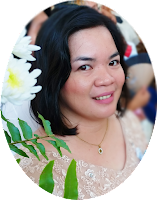 Whether you are looking for new baby care tips or for ways to deal with your teenage children, reading parenting blogs can surely help you a lot. Experience is still the best teacher but having a couple of tricks up your sleeve can go a long way. To guide you in your parenting journey, here are 5 parenting blogs that are not only helpful but are also fun to read. “The Toddle” is an amazing blog that features expertly made guides to assist parents from the early stages of a mother’s pregnancy to raising their children during their formative years. 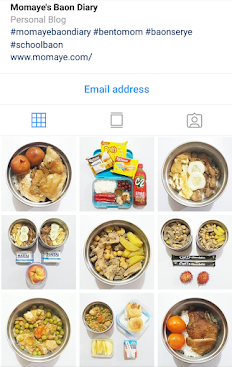 Aside from great parenting tips, it is also a one-stop blog for taking care of your children’s health and wellness, nutrition, and proper sleep. “The Toddle” also features reviews of various gear and fun activities for your children. 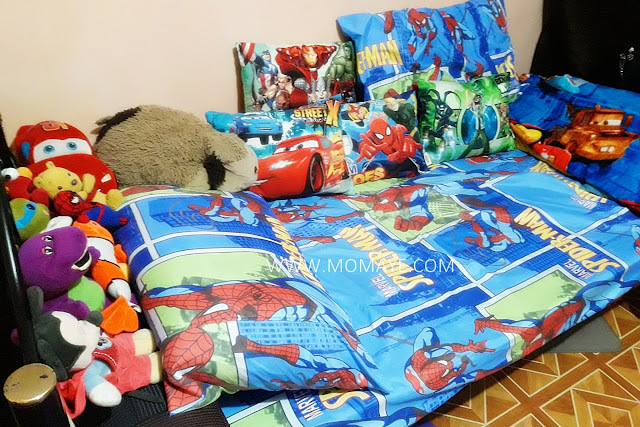 “Scary Mommy” originally started out in 2008 as an online baby diary of a full-time mom where she wrote down her daily experiences with her children. Since then, the blog grew into an interactive community of millions of parents from around the world. It features guides to pregnancy, amazing video content, parenting and living tips, news articles, and much more from hundreds of professional contributors. For moms, and also dads, who are interested in natural and eco-friendly living, “Mothering.com” is the perfect blog that you will surely enjoy. It features guides to breastfeeding and birth choices for mothers as well as expert tips on green nutrition, attachment parenting, alternative education, and gentle discipline techniques. “Family Focus Blog” is also one of the best parenting resources online. It features fun and valuable information not only about parenting, but also on home decoration, family travel, family nutrition, and different activities that will strengthen your bond with your children. Although not as common as mom blogs, there are also some great blogs that are specifically tailored for hands-on dads. “A Day in the Life Dad” is an interesting collection of fun parenting stories and fashion tips for modern dads who want to stay updated with the current trends. It also features travel diaries and reviews of various products and children’s books.